Terri Windling is a writer, editor, artist, and passionate advocate of fantasy literature. 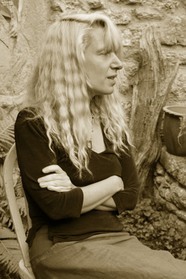 She has won six World Fantasy awards for her editorial work and the Mythopoeic Award for her novel The Wood Wife. She has edited over thirty anthologies, many in collaboration with Ellen Datlow--including the Snow White, Blood Red adult fairy-tale series, The Armless Maiden, Sirens, The Green Man, and Swan Sister. She has also written children's books and articles on myth and folklore, and she edits the Endicott Studio Online Journal of Mythic Arts website. She divides her time between homes in Devon, England, and Tucson, Arizona.